The year is 1900. The world is a different place than the one we know today. William McKinley is the 25th President of the United States. The main forms of transportation are the railroad and the horse. Trips from California to Europe take more than a week. Coal and coal oil are the primary sources of fuel and light. News and communications are received via telegraph and newspapers, and the fountain pen and ball point pen are still to come. The telephone, phonograph, automobile and electric lights are recent inventions. There are no televisions, highways, airplanes, radios, antibiotics, plastics, electronic calculators or computers. The first modern Olympics have just been held in Athens and the only modern professional sports teams were playing baseball in the National League. The newly formed Dow Jones stock average is at 70 and contemporary figures of the day include Enrico Caruso, Leo Tolstoy, Sigmund Freud, H.G. Wells, Pierre Renoir, Queen Victoria, "Buffalo Bill" Cody, Marie Curie and Albert Einstein. There are only 83 elements in the Periodic table and most laboratory products are produced in Europe. The source in the U.S. for some of these products is the newly formed Arthur H. Thomas Company. In 1892, Arthur H. Thomas joined the microscope department of the the James W. Queen Company, a leading supplier of optical and scientific equipment in the 1800's, It is there that he met Mr. J. Edward Patterson, who had joined the company in 1890. After the death of Mr. Queen, the business began to decline, causing many employees to leave for other businesses or to start their own. Some of these businesses were - Williams, Brown & Earle; Leeds & Northrup; Precision Thermometer & Instrument Co.; Philadelphia Thermometer Company; Eberbach & Sons; and Denver Fire Clay Company. 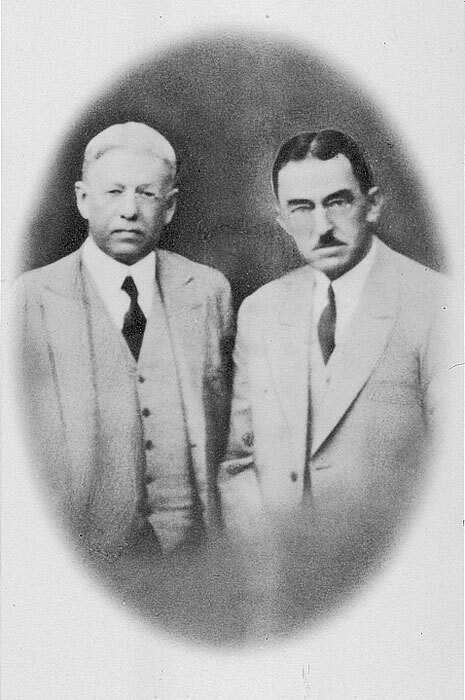 In 1899, Mr. Thomas left to start his own company and Mr. Patterson joined Charles Lentz & Sons, who were agents for the Bausch & Lomb Optical Company. Mr. Patterson would often visit Mr. Thomas and cooperation between the companies continued. 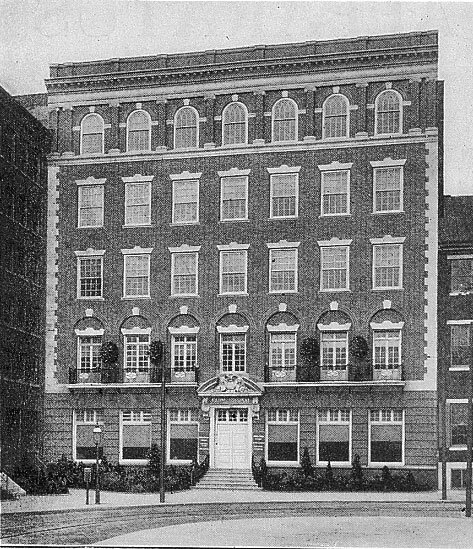 This eventually led to a landmark meeting on December 7, 1900 at the Hotel Walton in Philadelphia. In attendance were Mr. Thomas, Mr. Patterson, William and Charles Lentz, along with William Drescher and Henry Bausch of the Bausch & Lomb Company. 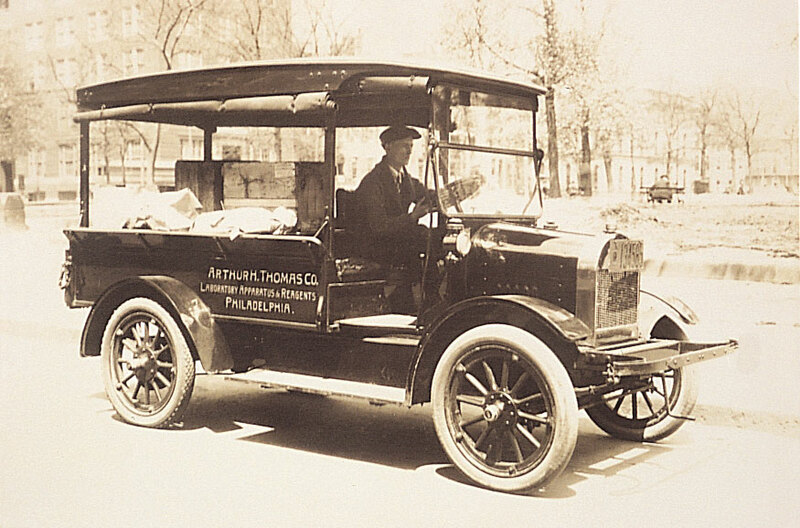 A new company and partnership was organized and incorporated as the Arthur H. Thomas Company. 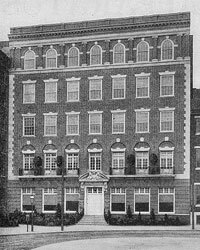 William Howell, who had also been at the Queen Company, joined the group as head bookkeeper and the company opened its place of business in the Freeman building at 12th & Walnut Streets in Philadelphia. The first customer was Frank J. Keeley. The first AHT catalog was published in 1904. During these early years, much of the business, aside from the Bausch & Lomb products, consisted of duty free imports from Europe. 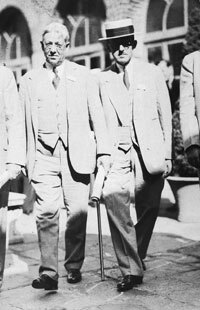 Mr. Patterson and Mr. Thomas traveled regularly to visit customers and suppliers. 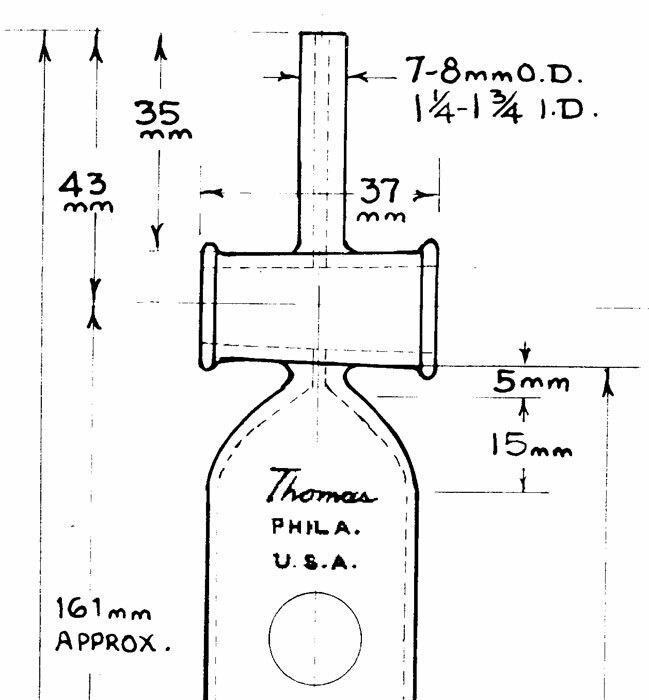 In the winter of 1906-07, Mr. Thomas visited leading manufacturers in Europe, particularly Germany, and established connections with many of them. These trips are chronicled in his detailed journals. The company also accumulated large collections of foreign catalogs and these were the backbone of the business until these sources were cut off during the first World War. 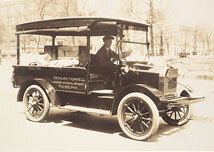 The company moved to the West Washington Square location in 1912. 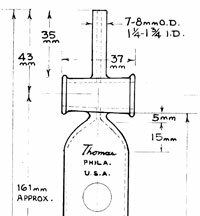 In 1914, the Arthur H. Thomas company published a completely new catalog with detailed illustrations and descriptions of a comprehensive list of scientific apparatus, which far exceeded anything previously offered to American scientists. Much of the catalog was dictated by Mr. Thomas personally, and the manuscript was prepared by hand. The catalog was greeted with great acclaim and was hailed by the American Association for the Advancement of Science. The catalog soon became known as the 'bible' of the industry. In 1914, a goodwill tour and meetings between Mr. Patterson and a number of competitors took place. Return visits to the company ensued and shortly after, the Scientific Apparatus Makers of America (SAMA) was organized under the direction of John Roberts of the Central Scientific Company. During the first World War, Mr. Thomas was appointed by the Council of National Defense as a member of their committee on Standardization. In conjunction with the Surgeon General's office, Mr. Thomas prepared the "List of Staple Medical and Surgical Supplies", which was used by the US Army, Navy and Red Cross throughout the war. During this period, the European produced laboratory products were in short supply. This was especially true of glassware and porcelain. Mr. Patterson had already begun the work of preparing a large number of "AHT Co. Specification" blueprints for US production of many these items. In 1915, the Corning Glass Works Company was contacted to see if they would be interested in producing flasks and beakers from their Pyrex glass which had been developed for use in the globes of railroad signal lanterns. Specifications were provided, samples were produced and testing performed. Once a satisfactory product was finalized, prices and configurations were decided upon and the first order, for $40,000, was placed. Similar relationships developed with other new companies, many who remain suppliers to this day including Corning, Kimble, Herold China and Pottery (Coors), Hausser, Eberbach, Boekel and Troemner. In the early 30's, a chemistry professor at California Institute of Technology, Dr. Arnold O. Beckman, constructed a meter for measuring the hydrogen ion concentration of fluids. The unit was not enthusiastically received at a scientific conference, but having worked with Leeds & Northrup on similar technology, the company was willing to test the practicality of the device. After passing inspection at the company, Mr. Patterson approached Dr. F. William Sunderman and others at the University of Pennsylvania. Based on their recommendations, the company placed the first order for what was the forerunner of the modern pH meter and proceeded to sell more than 100 in the first year. "AHT Co. Specification" products and new product development became the norm for the company. New and unique items and hard to find items could be found at the Arthur H. Thomas Company. Some of the innovations included: Troemner balances, Levy counting chambers, Wiley Mills, Hoover Melting Point apparatus, Stormer Viscometers, Weber ovens, Ascarite, Thomas pinch clamps, Lubriseal, color-coded pH buffers, scores of AHT Co. glassware, and many others instruments and supplies. The catalog was widely distributed and scientists throughout the world now came to rely on the company for their laboratory supplies. A friend of Arthur H. Thomas was visiting Kuala Lumpur in British Malaya, and sent a post card from the city saying "find this on the map if thee can". Thomas replied with a picture of a large pile of packing cases ready for shipment to that city, along with a list of labs in Kuala Lumpur who had copies of the Thomas catalog. Mr. Thomas passed away in 1942 at the age of 70. He worked at the office almost up to that time. As part of the initial agreement of the founders, the ownership and management of the company passed to the Patterson family. One of the original founders, J. Edward Patterson, managed the company until his death in 1955 at the age of 82. He was succeeded by his son Edward B. Patterson. The third and fourth generation Patterson family members are still actively involved in the company. The company moved to a new seven story headquarters in historic Philadelphia at 3rd & Vine Streets in 1956, on property once owned by the father of Betsy Ross. 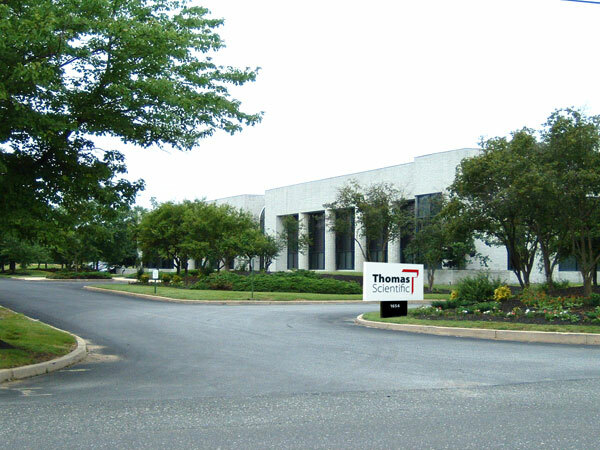 In 1983 the company formally changed the name to Thomas Scientific, and in the same year began a series of acquisitions beginning with the LaMotte Chemical Company of Chestertown, MD. 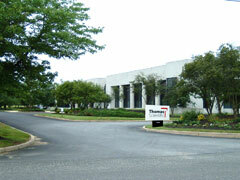 In 1984, the company built a new corporate headquarters in Swedesboro, NJ. and acquired Cannon Instruments of State College, PA. Additional acquisitions continue to be made. We continue to search for new and revolutionary technologies and equipment while still providing the quality care and service to our customers that has been a Thomas hallmark since 1900.